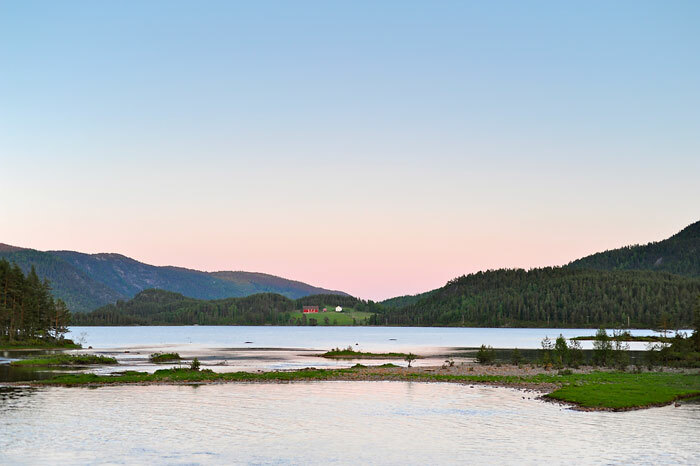 Having never visited Norway before, the first thing that struck me was just how sparsely populated the landscape is. Having left England behind with its crowded motorways and tightly-packed terraced houses, the sight I was greeted with as I stepped off the plane was a very different story; the wilderness clearly dominated the landscape here, with homes and offices seemingly dropped in amongst the trees here and there – a complete opposite to back home, where any green space seems to be surrounded by buildings. We only had to travel a few miles from the local airport until we were in the thick of it; dense woodland stretched far above the quiet winding road while crisp fjords ran past below. This calming view seemed to continue ad infinitum, until we eventually reached our cabins to begin our adventure. With only two full days at our location, the Bergans team did well at utilising the time we had. We had barely stepped off the coach when fishing rods were offered up, and many of the group set off to the shore behind the cabins to fish for trout. After spending the first night in our cabins, the waterways were explored further the next day via canoe, en route to our camping location for the second evening. That night we were supplied with a tent of our choosing and asked to pitch it wherever we liked. I chose a Bergans Compact Tent and swiftly headed for a spot overlooking the water, while others elected for Lavvo Tents in varying sizes. The ground where I pitched my tent was pretty rocky and uneven, but the view I was provided with as I unzipped the tent door in the morning more than made up for it. Further exploration was carried out on foot later that day as we hiked to the top of Lindeknuten, the highest point in the area. The sight of forty-odd men and women snaking up the side of a hill in outfits which matched from head to toe would have been an odd one to say the least, had there been anyone around to see it; but, as seemed the norm by this point, we were the only ones there. The unobstructed views that we were rewarded with as we reached the summit were incredible and, without sounding too cliched, it was humbling to be part of such a small group getting to experience these sights. Following our descent, we returned to our canoes to work on our paddling techniques once more, all with the help of a local canoeing expert – no more going round in circles this time! This exercise took us downstream to our cabins for our final evening, which we happily spent around the campfire next to the shore. During our stay we were duly exposed to a whole range of Norwegian weather. It was an odd feeling to be sunning ourselves in T-shirts one minute, only for the sun to disappear and the wind pick up the next, resulting in us throwing on fleeces and beanies en masse. Through it all though, the clothing and equipment provided by Bergans did a great job of keeping us warm and dry, despite us having to pitch our tents in the sort of freak rainstorm that I thought only happened in cartoons. I also hadn’t imagined that I would need a down jacket in the middle of summer, but as we sat around our camp at night, with the cool breeze blowing in from the fjord below, it was a surprisingly welcome addition. 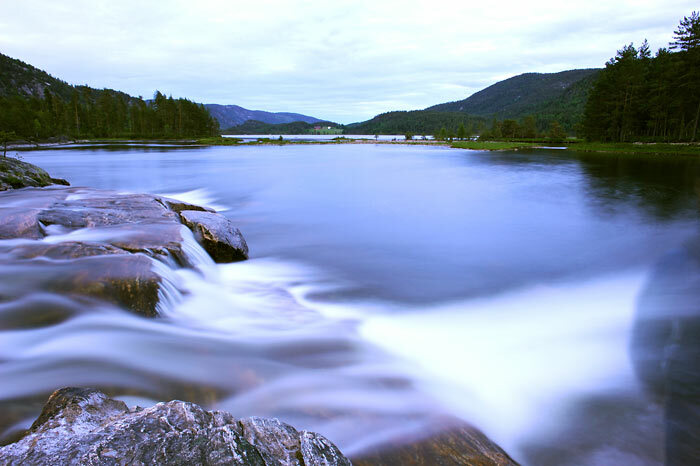 Overall, my time spent in Norway was excellent, offering a great insight to the country from which Bergans originated. In a country where it’s clear that the wilderness is king, it’s no wonder that such a brand would be proud to call this place home. Woodlore currently run two expeditions in Norway – Nordic Skiing and The Heroes of Telemark Expedition – which will next take place this coming winter. 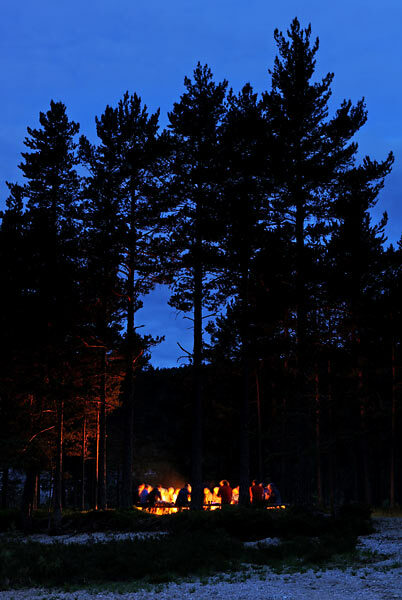 For more information, please visit our Bushcraft Expeditions page. 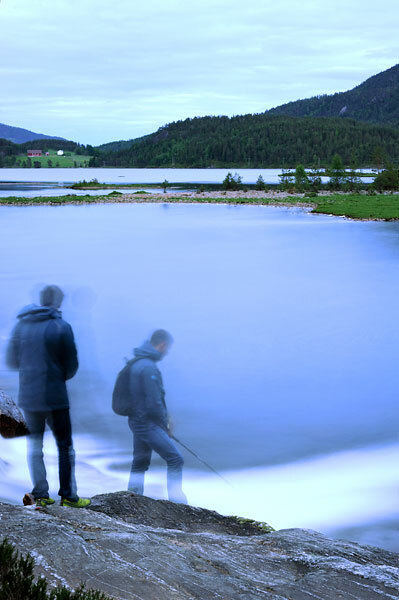 To see the full range of Bergans clothing and equipment stocked by Woodlore, please see our Bergans of Norway brand page. This entry was posted in Bushcraft Clothing & Equipment, The Woodlore Team on July 2, 2012 by Woodlore Team. 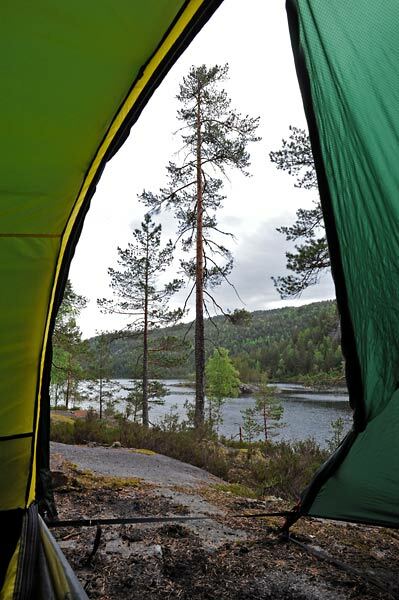 I was lucky enough to take a trip in my knackered old one man tent to norway myself last year. It is a truly fantastic place, and as a keen, but fairly unexperienced “outdoorsman” (my phrasing, my girlfriend prefers “would-be-tramp”) I have never enjoyed myself more. I was never far enough off the beaten track to be in any real danger, but the place is still sufficiently remote that I still felt as if I was the only man there. Really enjoyed reading your post and seeing the pictures. It’s made me think about planning a return trip! The articles and photos on this blog never cease to fuel my imagination and desire to go on some adventure travel you offer. You have some amazing stuff going guys! Keep it up! If not this year the next will be for sure! Cheers Julian. Great to hear we’re keeping the fire lit inside you! Hopefully see you around the campfire soon. Thank you very much for sharing, I really enjoyed reading this! Thanks Rogelio; I’ll have to start travelling more so I have more stories to share! Many thanks Martin, much appreciated.